I have been thinking seriously on why President Jonathan is constantly being derided and abused by a few but vociferous individuals. The most recent being that emanating from President Obasanjo’s latest book. But what now propelled me into contributing to this debate is the article written by Mr. Nnimmo Bassey, who I have very high regard for since our student days at the University of Nigeria, Enugu campus. In that article captioned “A Clueless President”, he stated how an African friend he had not seen in years asked him about “his clueless President.” This demonstrates the need for us to remain decorous even in instances of very sharp disagreements. Quite often, Nigerians complain of disrespectful treatments at the airports by immigration and custom officials. There is a saying in Igbo land to the effect that when you describe your cooking pot as useless, people will treat it as rubbish. We Nigerians have often not been mindful of the damage we do to our country and ourselves when we denigrate our institutions and our leaders in a careless and reckless manner. It is even more so when such recklessness comes from a former president who should be more thoughtful and circumspect in his utterances and writings. As we approach the 2015 presidential elections, the denigration of the office of the president is being escalated. The launch of the book, My Watch, by former President, Chief Olusegun Obasanjo (OBJ) was seen in this light by many commentators. The opposition party, the APC is also determined to do maximum damage to President Jonathan and the office of the President. The utterances from its leadership need a lot of moderation and scrubbing. They have also at various times described Mr. President as clueless and one who runs an auto pilot government. The radical changes promised by President Jonathan during his campaign were captured in the Transformation Agenda document. Programmes identified in this document will be used to evaluate the government of president Jonathan to see if his government can be described as clueless and running on auto pilot. An important barometer of a viable democracy is the sanctity of the voter’s wish. When late President Yaradua took office, he acknowledged that his election was largely flawed and vowed to clean up the electoral process. President Jonathan who succeeded him have not disappointed in this regard. It is to his credit that subsequent elections have been largely declared as free and fair by international observers. Another important index and benefit of democracy is the freedom of expression, freedom of association and statutorily guaranteed access to information. Under President Jonathan, freedom of speech has remained unencumbered in spite of some unwarranted abuses his government has suffered. President Jonathan remains to date the most demonised, abused and derided President Nigeria has ever had. But it is to his credit that he has never used the security apparatus at his disposal to persecute any one. One can also acknowledge that he signed the Freedom of Information (FOI) Bill into law, a bill that the previous governments avoided for years. Under President Jonathan, the power sector has witnessed the privatisation of the generation and distribution companies. If international and local assessments of this process are anything to go by, the bidding process has been mostly transparent. With this process concluded, one can anticipate an irreversible process in achieving stable power supply in no distant future, the same way the telecommunication sector benefited from privatization. The rehabilitation of the railway system deserves special mention. This important means of transportation has been unfortunately ignored by previous governments. The progress being made in this sector in reopening the railway links to the major cities in Nigeria is commendable. This is being complemented with the dredging of the lower River Niger. We also take particular note of the ongoing construction of the new bridge over the River Benue and the commencement of work on the Second Niger Bridge. The aviation sector is another area that has witnessed significant transformation. The modernisations of the existing airports and construction of new airport terminals have improved the standing of Nigerian airports within the international aviation community. It is therefore not surprising that Nigeria has attained and retained the FAA Category One status. The launching of the National industrial Revolution Plan (NIRP), and the National Enterprise Development Programme has led to the resuscitation of Nigeria automobile industry. Nigeria has moved from a net importer of cement to a net exporter of cement by increasing installed capacity from 16.5 million metric tons per annum in 2011 to 39.5 million metric tons per annum in 2014. The transformation agenda of Mr. President, if implemented faithfully, will no doubt significantly improve Nigeria economy. But we must be mindful of the fact that its impact and success rests on tackling the monster of corruption. One, therefore, cannot fairly evaluate this administration without assessing its approach to addressing the issue of corruption. Although Nigeria has improved slightly with respect to the perception index of Transparency International, perception of corruption in Nigeria is still high. While there is often a mismatch between perception and reality, one cannot ignore perception. The truth, is that Mr. President needs to demonstrate that his government abhors corruption. While I agree with Mr. President that dealing with corruption is not about parading people on the television but devising creative and systematic means of addressing it, there is still need to combine the long term measure of Mr. President with some short term prescriptions. One short term measure could be initiating an executive bill to set up Tribunals dedicated to trying cases of corruption. These tribunals should be presided over by credible retired judges. The Economic and Financial Crimes Commission (EFCC) has often complained about their frustration with the process at the existing courts. The conviction of Governor Ibori at the UK Court vis a vis the merry go round experienced in the same case in Nigeria is a case in point. Having stated the issues above, it will be germane to acknowledge what this administration has already done to tackle corruption at its roots. 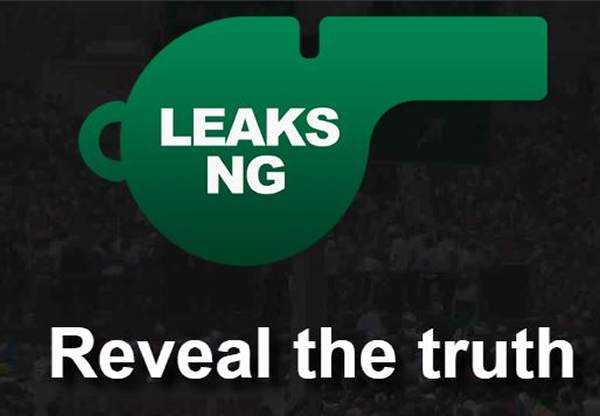 These include the restructuring of the pension payment system, the restructuring of the integrated salary payment system, and the deregulation in the oil and gas sector to check corrupt practices in the downstream sector. The disappearance of perennial queues at our filling stations is one testimony to the success of the creative approach to stemming endemic corruption in the oil sector. Signing of the Anti-Money Laundering Act into law, introduction of an electronic-wallet scheme, that has reduced significantly decades of corruption in the fertiliser and seed sectors are also very creative.